Location: Eagle Rock, at the Scholl Canyon Road exit (11) on the 134 Freeway. 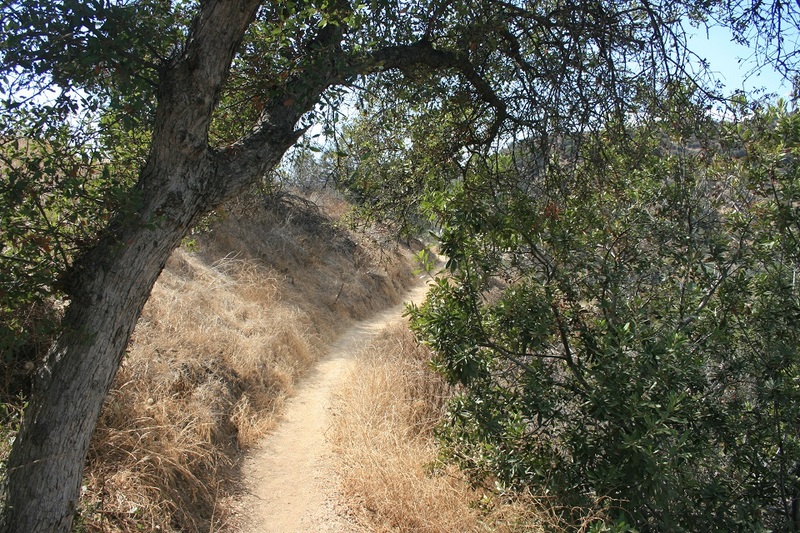 Parking is available on Scholl Canyon Road just north of the freeway, by the entrance to the park. More parking can be accessed by heading south on Scholl Canyon Road, taking the first left onto Coloardo Blvd, taking the first left onto Patrician Way, crossing the freeway and then making an immediate left on Eagle Rock View Drive. 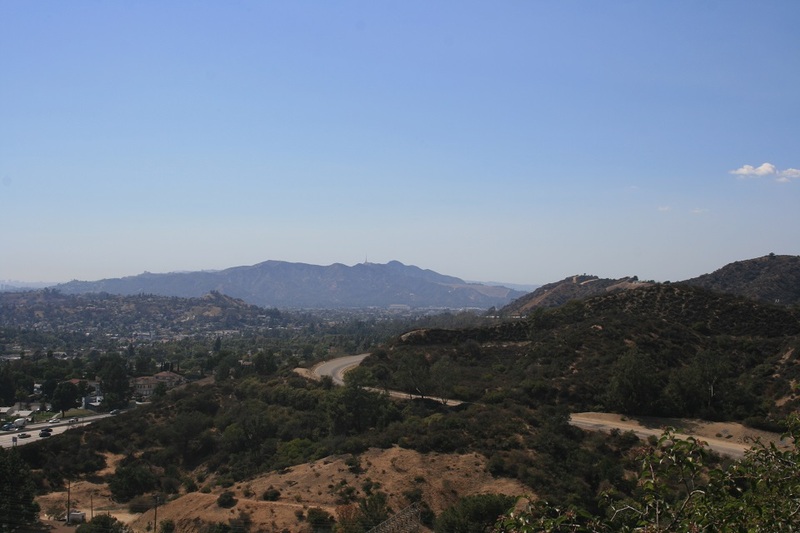 Eagle Rock, a residential corner of L.A. tucked between Glendale and Pasadena, was #2 on Redfin’s “Hottest neighborhoods in America” list for 2014. While the community is certainly experiencing a renaissance these days, not everyone knows how it got its name. 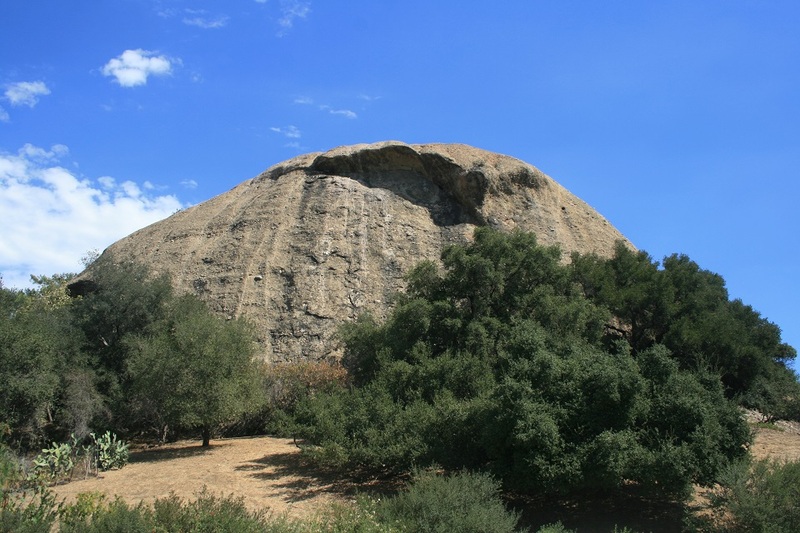 Eagle Rock is a giant round dome located just north of the 134 Freeway. A curved ridge on its south face is said to bear a resemblance to an eagle with its wings spread. 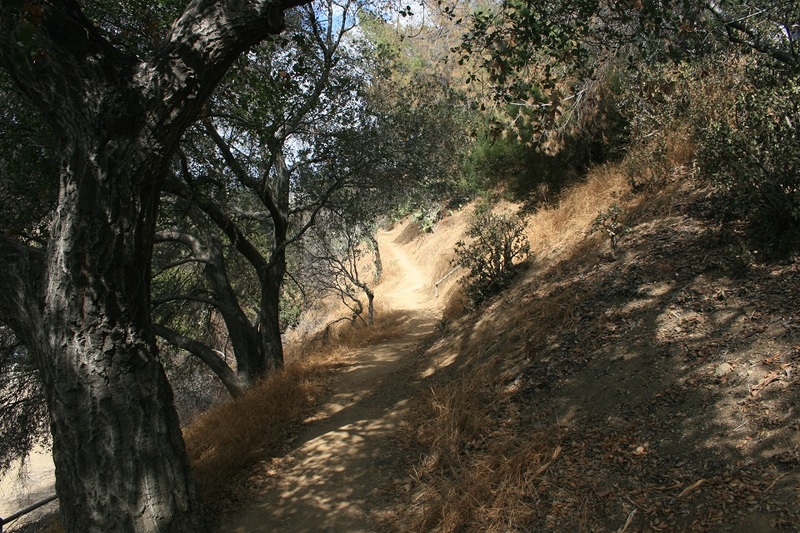 Those who live or work in Eagle Rock can get both exercise and panoramic views on the conveniently located Eagle Rock Canyon Trail, which opened in 2006 (not to be confused with Eagle Rock in Topanga State Park). 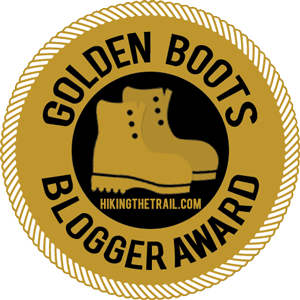 Despite some steep sections, the trail is short enough that it can be done even on hot days, although those hiking with small children might want to exercise caution on some of the loose terrain. 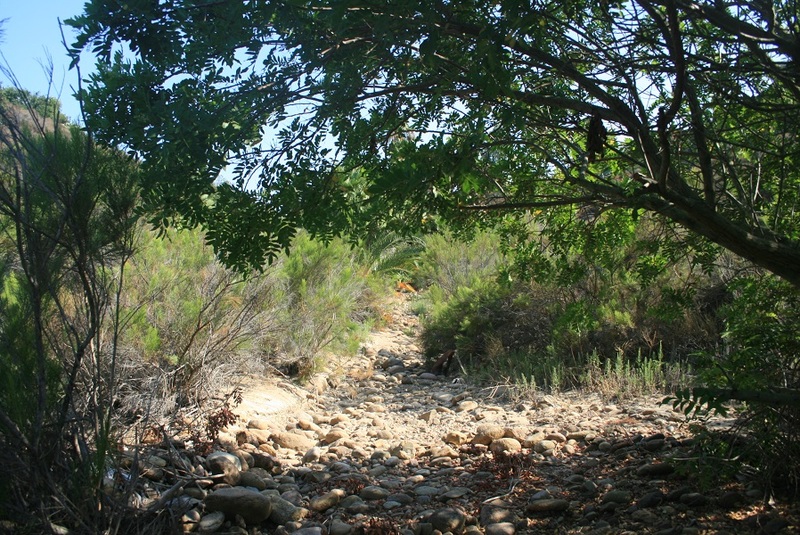 From Scholl Canyon Road or the end of Eagle Rock View Drive, pick up the signed Eagle Rock Canyon Trail and follow it through a fence into a grove of oaks. After 0.1 mile you reach a Y-junction. Both routes lead to a high point above Eagle Rock, but the right fork climbs more quickly, reaching the top in only 0.2 miles (and climbing almost 200 feet) while the left fork, via multiple switchbacks, arrives on top after 0.4 miles. At the top, several plastic chairs in front of a large water tank provide a seat to enjoy a view that (pending good visibility) includes Catalina Island, the Palos Verdes Peninsula, downtown Los Angeles and the Hollywood Hills. For more views, you can skirt the edge of the fence on a sketchy use trail. 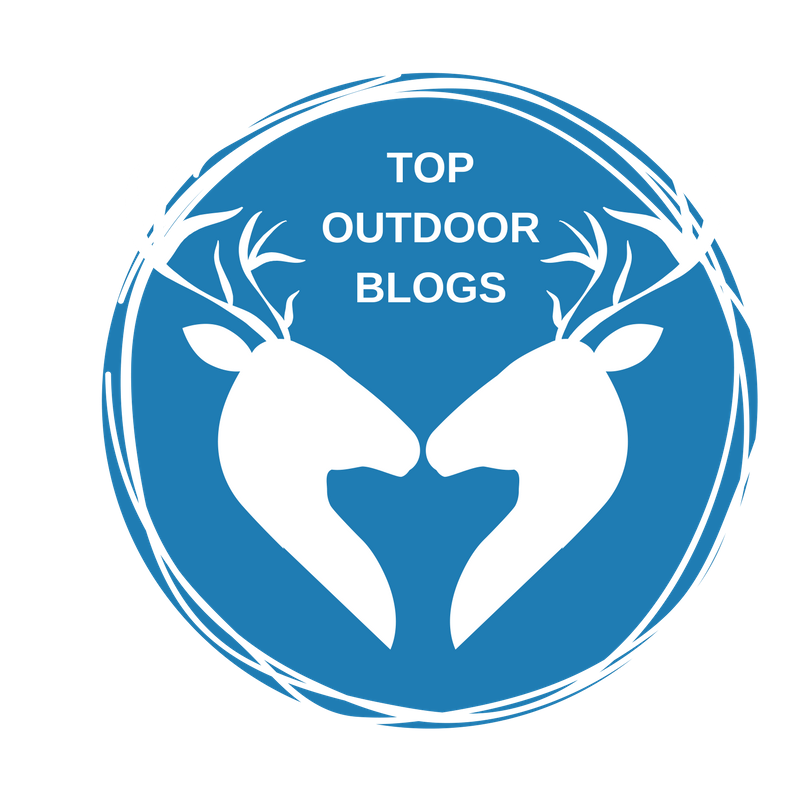 After enjoying the scenery, continue along the loop and follow it back to your car, taking care if you are descending via the steeper route. In case you were wondering, Eagle Rock was beaten out on the Redfin list by San Francisco’s Bernal Heights area. 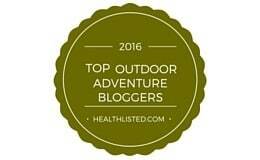 But does Bernal Heights have access to quality hiking trails? I leave that matter for the good folks at Nobody Hikes in S.F.